At Nicrocraft, we understand that in order to have the highest quality products and service, you must have the highest quality people. From engineering, to production, to selling, and finally to customer support, we’ve assembled a truly excellent team, dedicated to providing you with the best customer experience in the aviation industry. 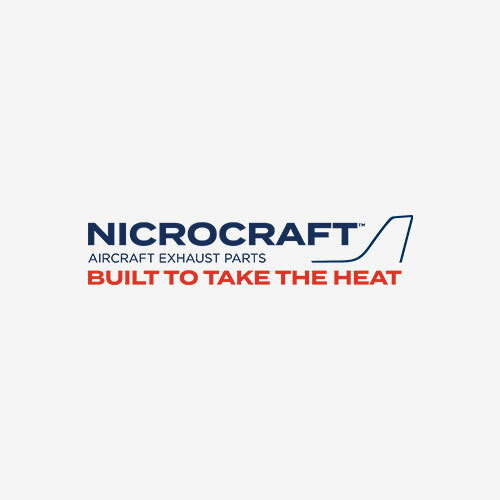 Jim is responsible for establishing and implementing a sales action plan to penetrate new business opportunities for Nicrocraft™ Aircraft Exhaust Systems. This includes developing relationships with new and current customers and markets to grow the Nicrocraft™ product line. Jim has over 20 years experience working with Major and Regional Airlines, Flight Schools, MROs, Air-Cargo and General Aviation accounts. He holds an Airframe and Powerplant license with Inspection Authorization and is also an instrument rated pilot with over 3000 hours. Mary is the main point of contact for Nicrocraft customers for inside sales and customer service support - from initial ordering to shipping. She is responsible for generating quotes, processing, shipping, and billing orders. Mary has thirteen years of experience working in customer service and inside sales. Mary’s previous jobs include work as an inside sales representative and production control coordinator for the companies Opeco, Wellmark and AAR Aircraft. Mary has obtained Associate Degrees from DeMarge College and Rose State College. Faith also provides support to Nicrocraft customers - generating quotes, processing, shipping, and billing orders. Faith has over eight years of customer service and inventory management in the aerospace and military industries from her time at the Oklahoma Department of Emergency Management, Chromalloy Oklahoma, Manpower Personnel, and Tinker Airforce Base. Faith has a Bachelor’s degree in Business Management from the University of Oklahoma, and an Associates in Computer Information Technology from Rose State College. As Chief Engineer, Brian has 32 years of experience with Wall Colmonoy in the design and development of light aircraft exhaust products for FAA PMA (FAA Parts Manufacture Approval) and OEM applications. He is certified as an FAA Designated Engineering Representative (since 1994). Brian graduated from Oklahoma State University, and has a background in welding and machining. Roger is a FAA certified Designated Manufacturing Inspection Representative with 35 years of quality experience in batch, cellular, and hybrid manufacturing environments. He has 15 years of experience in the repair and overhaul of jet engine components for both military and commercial aircraft. Roger is a certified six sigma green belt and has led and participated in many improvement events throughout his career. Roger has 25 years of ISO 9001 experience and 8 years in leading a FAA repair station to the aerospace AS9100 standard certification. He is a certified Lead Auditor for the ISO 9001 and AS9100 standards, including the ISO 14000 environmental standard. Roger has previously worked for GE Oil & Gas, Chromalloy Oklahoma, Conxall Corporation, and Brush Fuses. He graduated from the College of St. Francis in Joliet, Illinois.